Watch our Intro Video on our work with New York City Seniors!! A NEW PHOENIX ENSEMBLE RECORDING IS NOW AVAILABLE!! PHOENIX ENSEMBLE: JOHANNES BRAHMS / ELLIOTT CARTER - CLARINET QUINTETS: is now available in CD format, digital download, or streaming, everywhere fine music is sold: Amazon.com, iTunes, ArkivMusic, Google Play, Spotify, and many others. Ernesto De Curtis: Do not forget me, love! Our Composer Workshop announces the release of a new recording on the Albany Records label. 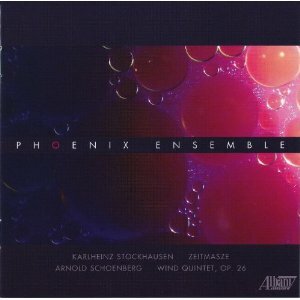 Our Phoenix Ensemble presents the first American recording of Karlheinz Stockhausen's Zeitmasze, and a fresh reading of a very important work of Arnold Schoenberg, his Wind Quintet, Op 26. Schoenberg's Wind Quintet was his first ensemble work written in the strict 12-tone method, and stands as a monumentally influential piece in the history of 20th and 21st century art music. This new recording was featured on the March / April 2013 Fanfare Magazine issue. This feature includes a spotlight interview with Mark Lieb discussing the recording and the Phoenix Ensemble. 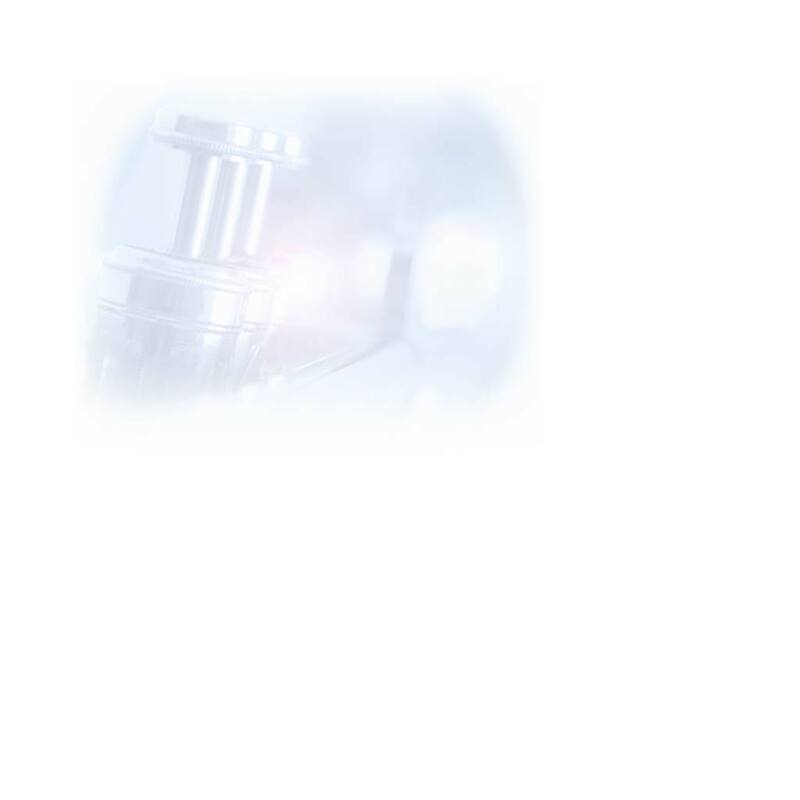 This project took two years to complete and we are very proud to present it to you. The CD is available on Amazon.com, iTunes, emusic and Rhapsody. All proceeds generated from this project will be used for the direct expenses of our programs. 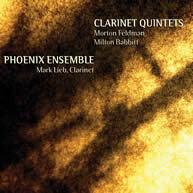 Our new CD featuring the Phoenix Ensemble performing the Clarinet Quintet of Morton Feldman and the world premiere recording of Milton Babbitt's Quintet for Clarinet and String Quartet was released on July 9, 2009 on the Innova Records label. 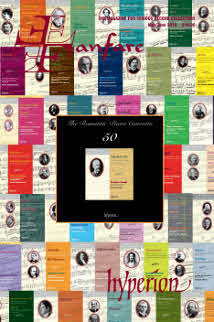 This recording was put on the semi-finals ballot for the 2010 Grammies in two categories, Best Chamber Music Performance, and Best Engineered Classical Album. The CD is available on Amazon.com, iTunes, emusic and Rhapsody. All proceeds generated from this project will be used for the direct expenses of our programs. Milton Babbitt was one of the 20th century's most preeminent composers. He was a principal developer of postwar musical thought and expression, theory, and pedagogy in the United States, and his influence on American musical composition has been enormously significant. With his approval, we are happy to present this first look at his important masterwork. It would be hard to conjure up two more dissimilar bodies of late 20th century American music than those of Morton Feldman and Milton Babbitt - the one contemplative and elusive, the other frenetic and hyper-cerebral. Yet by juxtaposing their works for the same performing forces (clarinet and string quartet), this intriguing disc from New York's Phoenix Ensemble uncovers some telling connections, even if the contrasts are more overt. Feldman's 1983 work (titled "Clarinet and String Quartet") unfolds in a series of gentle sighing figures, almost like the breathing of a large, furry beast; Babbitt's Quintet, written in 1995-96, leavens its intricacy with plentiful nods to jazz. What binds the two pieces, perhaps surprisingly, is the gestural richness they share beneath their very different surfaces, and the way each of them forges a rhetorical style free from the prescriptions of tonality. The performances, led by clarinetist Mark Lieb, are at once tender and incisive. The Pheonix Ensemble does a brilliant job in capturing the specific character of such radically different pieces of music. The Babbitt, by the way, receives its premiere recording—one wonders why such an exhilarating piece was neglected for so long. Highly recommended. Feldman's "Clarinet and String Quartet" is filled with lush chordal voicing and beautiful, almost pastoral clarinet sections. The work makes for both a relaxing and uplifting listening experience. Babbitt's almost unknown "Quintet for Clarinet and String Quartet" is much denser, brimming with angular clarinet lines and deliciously dissonant string parts, which interact with a ballet ensemble's grace. The ensemble's dynamics and careful attention to timbre balance make even the subtlest interactions clearly perceptible. New music this accessible is a treat. The performances here are impeccable. 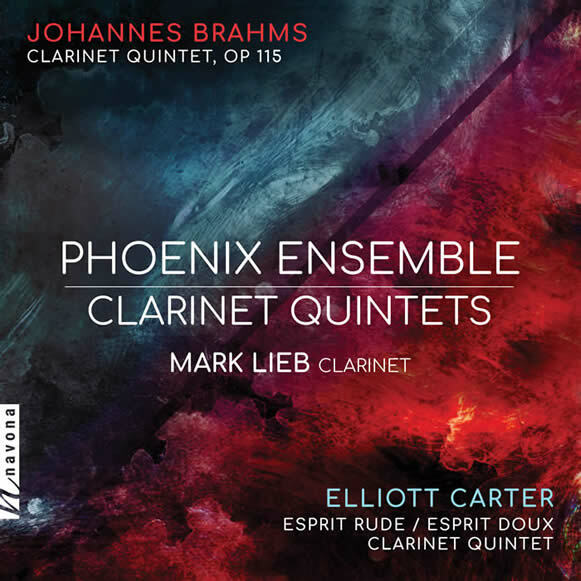 Clarinetist Mark Lieb and members of the New York-based Phoenix Ensemble play with absolute commitment; their care in putting each of these pieces over with the intent to sell listeners on each composer's work is evident in the energy and nuance of their performances. The Phoenix Ensemble's commitment to these works is implicit; their intonation, precision and palpable enthusiasm is conveyed in each measure. Despite the seeming stylistic disparity of the two works, the album flows effortlessly. 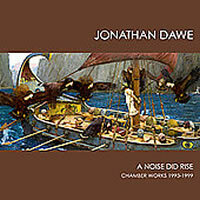 Our first commercial CD, featuring the Phoenix Ensemble and the chamber music of Jonathan Dawe, was released in August of 2006. The recording was produced by the label Furious Artisans and co-funded by the Aaron Copland Fund for Music. Information on the recording can be found at www.furiousartisans.com.